Update: I graduated with a Ph.D in November 2010. I am currently employed in the Core Strategies group at Goldman, Sachs and Co. 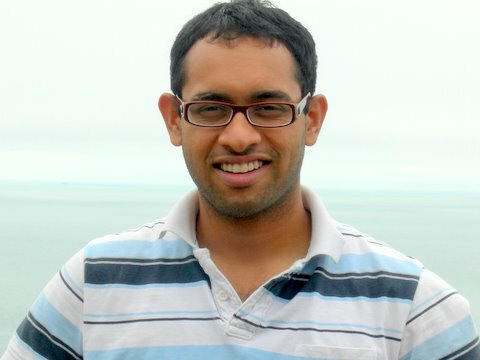 I am Ramanathan Narayanan, a Ph.D student in the EECS department of Northwestern University. I was brought up in Hyderabad, the capital of the state of Andhra Pradesh (India), a city renowned for its cultural diversity and heritage. After spending the formative years of my life there, I left to pursue my undergraduate studies at the Indian Institute of Technology, Kharagpur. It turned out that I had a passion for Computer Science, and I graduated with a B.Tech(honors) in Computer Science and Engineering in 2005. In September 2005, I came over to Evanston, a nice suburb of Chicago, to start off my doctoral studies at Northwestern University. Over the last few years, I have been working on problems related to Data mining and Text mining. During my earlier days in graduate school, I also worked on projects related to computer architecure and hardware acceleration using FPGAs. You can read more about my research here. I have also spent summers interning at IBM Research (2004), Google (2007) and Amazon (2009). Pulse of the Tweeters uses Data Mining, Sentiment Analysis, and Network Analysis algorithms to mine millions of tweets and find the most influential users on Twitter. We help you find the most significant tweeters across different trends, their opinions, and trends you might be interested in.